So far this Year 145 homes have Sold in Gordon Head and Lambrick Park since January 1, 2015. I created an easy to use (Go Here) >Gordon Head Current Market Analysis page to help Gordon Head & Lambrick Park Home owners search online to find out what their homes are worth today. See below an example of the page you'll see when you search online to find out what your home is worth now with my Current Market Analysis program. Looking for a home in Gordon Head or Lambrick Park? This currently 21 Homes For Sale. Fred, what a great way for sellers in Gordon Hea dand Lambrick Park to find out what their home is worth! 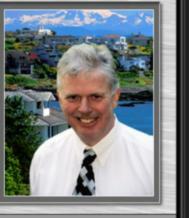 Hi Joan Cox Thanks, these are great easy to use tools for Gordon Head Home owners & Home Buyers to use online. Cheers. have a fun and successful day!